Georgia Bone & Joint / Our Staff / Meet Our Doctors / Michael V. Cushing, M.D. Dr. Michael Cushing graduated with a degree in chemistry from Indiana University, in Bloomington, Indiana. While there, he was on the men’s swim team and was named Academic All-Big Ten Scholar Athlete in 1990 and 1991. He received his medical training from the Medical College of Georgia and completed his orthopedic surgery residency at the Atlanta Medical Center (formerly Georgia Baptist Medical Center). His athletic background and interest in anatomy inspired him to choose orthopedics as his specialty. After his residency, he also completed a shoulder fellowship at the Hughston Clinic in Columbus, Georgia, which involved extensive training in shoulder surgery and sports medicine. He has a particular interest in treating shoulder injuries, ranging from arthroscopic instability repair and rotator cuff repair, to total shoulder replacement. Dr. Cushing also served on the faculty at the Orthopaedic Learning Center in Chicago, Illinois, teaching advanced arthroscopic and open shoulder surgery techniques to other orthopedic surgeons. Dr. Cushing is one of the only surgeons in Coweta and Fayette counties to perform the reverse total shoulder replacement. The reversed shoulder is one of the newest advancements in shoulder surgery. He also specializes in sports medicine and practices general orthopedics as well. Dr. Cushing was born in Chicago, Illinois, and moved with his family to Atlanta when he was 14 years old. He lives in Fayetteville with his wife, Christine, and their four children. He is an avid sports enthusiast and enjoys boating, water sports, scuba diving, and snow skiing. 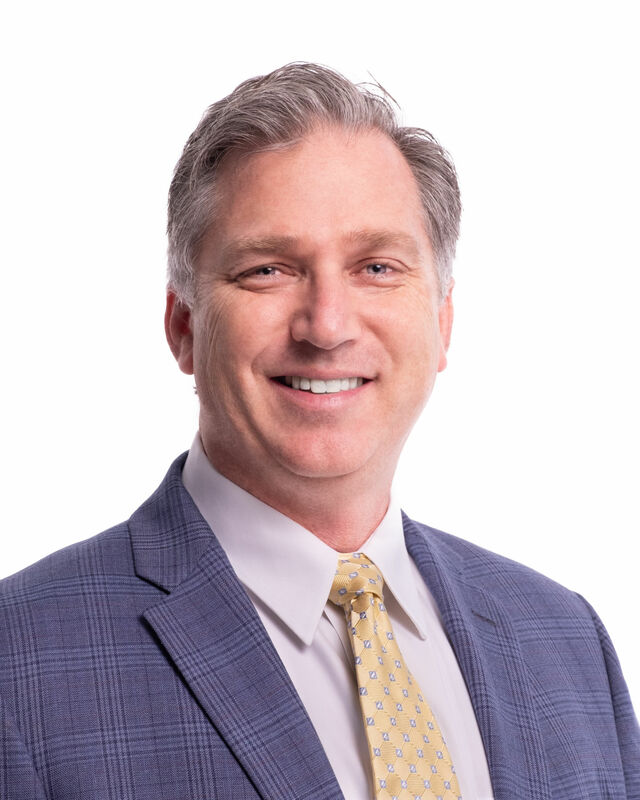 Dr. Cushing is board-certified and on staff at Piedmont Newnan Hospital, Piedmont Fayette Hospital, and Cancer Treatment Centers of America in Newnan.
" Everything done in a professional manner. Treatment from personnel was excellent. Very little wait time. " - Thomas J.
" Very good. " - Winifred B.
" Professional and efficient. " - Maurice G.
" Dr. Cushing provided great care for my daughter's knee. Thank you! " - Candice R.
" A few years ago, I went to Dr. Cushing after continued pain in my knees. We tried shots, we tried arthroscopic surgery, we tried more shots and braces; all to no avail. Finally, after unexpected, but successful shoulder replacement surgery, we settled on knee replacement. Since the shoulder healed in such a short time (three months after surgery I was hoisting children onto my knees as Santa), we decided to do bilateral replacement and get it over with. Six weeks ago, surgery went off without a hitch and now I am walking without assistance, can bend to 120 degrees, and am feeling better about my knees than I have in many years. I am certainly pleased that I found Georgia Bone & Joint and Dr. Michael Cushing. " - George M.
" Doctor and staff are very polite and courteous. " - Eva K.
" Very good. Dr. Cushing is the Greatest, no more pain , what else can I say about him. He gets 5 thumbs up from me !!!!! " - Darrell J.
" Dr. Cushing was very nice and knew just what my issue was. Had a great understanding of the trouble and could describe it exactly to a T. Was very pleased in how I was treated and the staff. Very nice atmosphere and facility looks very nice since its recent renovation. " - Tory W.